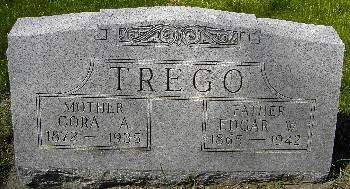 TREGO, Mother Cora A. 1872(may be 1878) - 1935. Father Edgar W. 1865-1942. Searching for CORA TREGO in Black Hawk County Iowa?